The Nobel Prize is awarded to individuals whose entire life’s work has culminated into knowledge that can be utilized to benefit humanity. But Nobel Prize winners are not child protégés with special training. Like the rest of us, they ventured into their PhD studies with similar goals and worked hard to obtain their degrees. Scientists today hope to make great contributions to society and but are apprehensive of how their failed experiments will impact their careers. The distinction between Nobel Prize winners and the rest of us in science is that they chose to take on more risky projects that may not always lead to successful results. Dr. Ohsumi, who won the Nobel Prize for Physiology and Medicine this year, took the road less travelled and dedicated his life to an undefined cellular structure with relatively little known function. The most striking thing about Dr. Ohsumi’s career path is how much it resonates with mine, as well as with that of many other PhD students. He completed his postdoctoral training at Rockefeller University, and during this time he was still uncertain about his later research focus. It wasn’t until he had become a more experienced researcher that he started working on the autophagosome, which eventually led him to win the Nobel Prize. During his career, he also experienced very similar setbacks to the rest of us in science. So in a way, he was not that different from other scientists – so maybe the Nobel Prize is not outside of our reach. A person winning the Nobel Prize, such as Dr. Ohsumi, is someone who has also slaved away for many hours at the bench, and pushed the boundaries of science a little further, without allow himself to be beat down by failed experiments. “I always look for a new subject to study, even if it is not so popular. If you start from some sort of basic, new observation, you will have plenty to work on,” said Dr. Ohsumi. Choosing a scientific project to work on that can be worthy of a Nobel Prize and make significant contributions to the world remains an interesting question. How do Nobel Prize winners identify and anticipate the merits of a project and turn it into something that will change the world? Are they less cautious and more likely to take on a riskier project, for example one that hasn’t yet been associated with a biological phenomenon, thereby pioneering these studies? Some researchers now receiving Nobel Prizes began their research in the 1960s-1970s, an era when new molecular biology and biochemistry techniques had emerged. In those times, selecting a novel area of study in the basic sciences was also maybe a bit easier than today. At that time, there were still enough unknown questions in basic science for scientists to be able to explore and thus become pioneers in their field of study. For example, finding a previously unidentified vesicle, such as the autophagosome, was more likely to happen in those days than it is now. The general attitude of scientists today may also differ from those times. Scientists today seem to have lost their passion for research in the mundane pursuit of “just a job.” On the first day of my PhD, we were asked by Dr. Komuniecki, “how many of you are expecting to get the Nobel Prize, and how likely do you think that is?” In other words, how many of us believed unconditionally and blindly that our work was going to be a breakthrough and worthy addition to the scientific race? As you can imagine, most of us sniggered, rolling our eyes, thinking that was never possible for us. This was a very expected reaction, of course, but the motivation behind it is something to ponder. Why did we not think that our research may one day be worthy of a Nobel Prize? Was it apathy? Or were we all so consumed with our personal gains that we lost the unique vision and passion that made us choose science in the first place? Scientists today may not have consciously chosen to be apathetic or insecure about our research. But surrendering to the reality of competition over passion for science may set us apart (not necessarily in a good way) from scientists doing meaningful work during the 1960s-1970s. 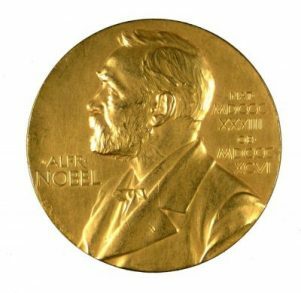 Performing meritorious research that opens avenues for future outstanding work in a particular field while also making a significant impact on the world is not an exclusive right that is reserved to Nobel Prize winners. The ability to achieve this level of impact as a scientist is also not due to an inherent trait or capacity learned through a special system available only to select few scientists. All successful scientists are alike in our passion, curiosity, breadth of knowledge, analytical skills, ability to thrive on competition and collaboration, and rock-solid resilience. We must believe that we can overcome our experimental failures and be brave enough to choose risky projects that may take us down novel and groundbreaking scientific paths. We need to choose an undefined path, and possibly study questions that may seem at times uninteresting, such as the vesicle that was thought to only be responsible for cellular waste disposal, in the case of Dr. Ohsumi. In concluding, Dr. Ohsumi states: “I’d like to tell young people that not all of them can be successful in science, but it’s important to rise to the challenge.” No science is more important whether it is medically relevant or not, whether it will give immediate results or not, whether it is clinical or basic. However, it is important to keep challenging oneself and working toward making discoveries that can help the world move forward. Hopefully these words will inspire you to follow your dreams and take risks in your scientific endeavours so that you may one day be able to win the Nobel Prize. Maisha Rashid is currently a PhD student in Cancer Biology, working on cell cycle regulation in as well as drug discovery in cancer. She is an avid writer for both scientific journals and newspaper articles, and advocates increasing science literacy for the general public. She has a strong interest in continuing research in cancer biology, and hopes to play a role in science policy and/or advocacy in the future. She can be reached via e-mail (Maisha.rashid@rockets.utoledo.edu) or on Twitter (@msrashid8).